This toolkit is here to help you promote Stop the Violence through your own channels and activities, both in person, online and through social media channels. 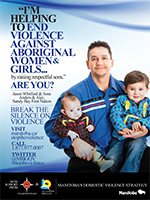 Below are website banners to help you highlight the Stop The Violence campaign in your Intranet or Internet sites. 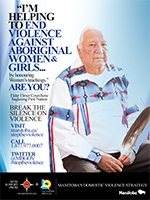 Below are print materials to help you highlight the Stop The Violence campaign. 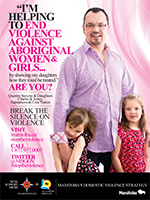 Become part of the social media movement to end domestic or family violence! 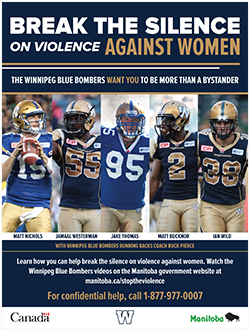 Once you view the Blue Bomber videos and other campaign materials, we encourage you to share these messages through your social networks (Examples: Facebook and Twitter). 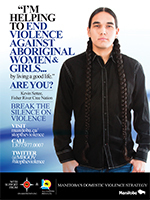 Follow us on Twitter @MBGov and help #StopTheViolence. 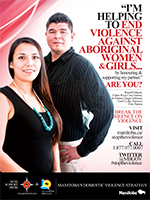 Re-tweet Manitoba government Twitter messages to show your support or post any of the tweets below. 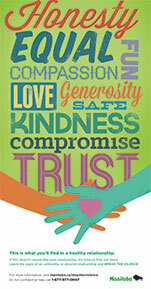 Everyone deserves to be in #HealthyRelationships. 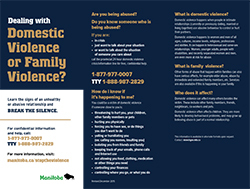 Young Manitobans experiencing Dating Violence can call 1-877-977-0007 for support. 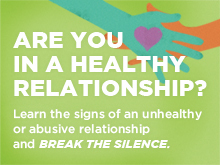 Whether or not you're ready to leave your abuser, there are things you can do to protect yourself.